There are a number of ways through which business promotions work. Stationery items are used for this purpose mainly because these are the vital instruments to create a good repute and recognition of the company. They are given to people by the company owners as gifts items to make their existence noticed. 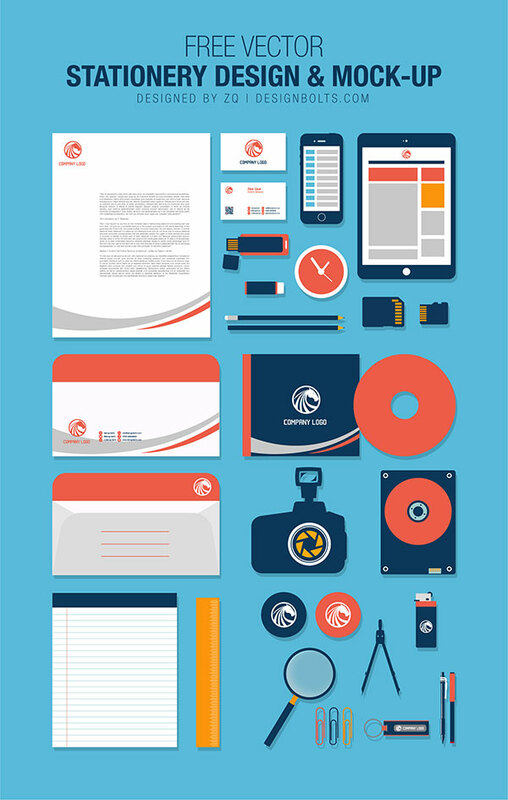 Discs, notebooks, pens, mugs, USB, badges and lighters are few common options that companies usually seek. But apart from these, pens.com has some really nice personalized keychain flashlights that may work equally well. A graphic designer has to deal with plenty of clients on daily basis; he is to cater each and every one of them in the same professional way, he fulfills their requirements of work and tries his level best to meet their needs. He knows better what exactly his client is demanding from him so in order to entertain the client’s demands, he often has to walk an extra mile to clear the confusions in the head of the client and to make him completely know how his product or the design would look in practical form. Therefore mockups are being made by the designers so to give a true picture of the product’s design and the client would be satisfied how the design would appear on stuff in tangible form. I made free flat Vector stationery design & mock-up where you would happen to see many gift items. You can aware your client through these options that would be affluent for his business expansion. Developing a good stature and stance of the company through such ways has now become a common aspect. Through this, people would keep the gift items to themselves and would remember to contact the owners at the time of need and to get the work done.